At the door of Aravis, near the ski resorts of LA CLUSAZ, and GRAND-BORNAND, 15 minutes from Lake Annecy, come and discover LES CHALETS D'EMILE. The chalets: Le Colomban, Le Lachat, Les Bédières are renovated in a mountain spirit. Ideal location, quiet, on a large wooded grounds, cozy atmosphere. The proximity of the resorts of La Clusaz, Grand Bornand allows you to admire wonderful landscapes in both winter and summer. You can practice all sports slips. Tennis, via Ferrara, horse riding, adventure park, swimming pool, golf at Talloires (15km). Water sports on Lake Annecy. The beds are made upon arrival. A heated laundry room (washing machine) local ski. Deposit: 500 € requested on arrival, returned no later than 14 days after the stay. I remain at your disposal, you can reach me at 06 70 02 11 75. On request a high chair, an umbrella bed can be made available. (subject to availability.) Cleaning products provided, the household is the responsibility of the tenant. Possibility of taking a cleaning option: 80 € The presence of an animal is subject to the acceptance of the owner. Gorgeous views. Good location for exploring the Aravis area. Local dog walks from the door. Shops just down the road. A lovely chalet near to the ski resorts and within walking distance of Thônes. It is fully equipped, immaculate and the owner is nearby if you need anything. Perfect, we couldn’t fault it at all. We loved it! The owner Veronique very kind and helpful person. The chalet wasn’t very big but very cosy, spotless and comfortable. We all enjoyed our stay in the very well-maintained chalets set in beautiful surroundings. The owner, Mme. Plan, was very helpful and quick to respond to our needs both during the booking stage and throughout ur stay. The chalets are immaculately clean and maintained to very high standards, where attention to detail made our stay very comfortable - e.g. the kitchen and the bathroom are equipped with modern and good-quality appliances. The spectacular views of the mountains can be enjoyed from the living-room and, on a sunny day, in the front 'patio'. The location is also ideal as supermarkets and the main town, Thones, are within walking distance. Annecy, the ski resorts and chateaus are a short drive away whereas other attractions such as Chamonix and Mont Blanc are also within easy reach. This is certainly one of the places we would like to return to in the future. 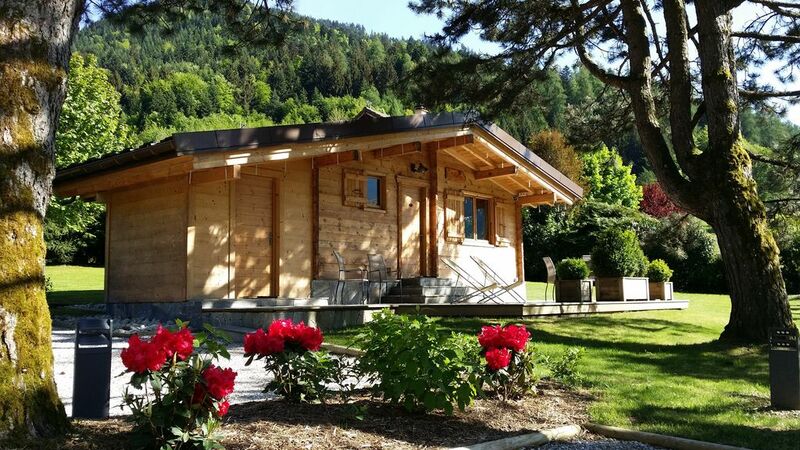 Nous avons passé un séjour très agréable dans ce beau chalet, au calme et avec un paysage magnifique. The Chalet situation 'COLOMBAN (3 stars) is ideal for exploring the area, proximity to various stations allows you to see beautiful landscapes both winter and summer. You can practice many sports (snowshoeing, mountain walks, all winter sports), in the resorts of La Clusaz and Le Grand-Bornand (12 km) and. Manigod. Tennis, climbing, horse riding, adventure park, swimming pool Thones. Golf in Talloire; (15 km). Water sports on the lake. Do not miss nearby. Château de Menthon-Saint-Bernard, the Paccard Museum and castings, Château de Thorens, the plateau Glières. Chamonix, Geneva basin, the Gorges du Fier, the Pont des Amours. Golf: In an enchanting setting, between lake and mountains, discover the Golf de Talloires, (18 holes). Golf du Grand-Bornand (9 holes) family atmosphere. Ski: In winter, the choice of activities is immense. Cross Country: Plateau de Beauregard, in the village of Grand Bornand, on the plateau Confins. Alpine Ski Lift, 13 km from the ski area of ​​Thônes Aravis Massif covers the resorts of La Clusaz, Le Grand-Bornand, Manigod. Over 210 km of pistes, 95 lifts, snowmaking, two snow parks. Lighted trails. Ski Schools: Manigod, La Clusaz, Le Grand Bornand. Transport: direct links by bus from Thones to the resorts of La Clusaz and Le Grand Bornand.